1. Avoid the road beside the lake down low. Especially in summer, it can be full of traffic – all the way around. Not fun. 2. On the north and west side is a bike-only path. From Annecy itself, go beside the lake and you can’t help but bump into the path. It goes all the way to Albertville. 3. 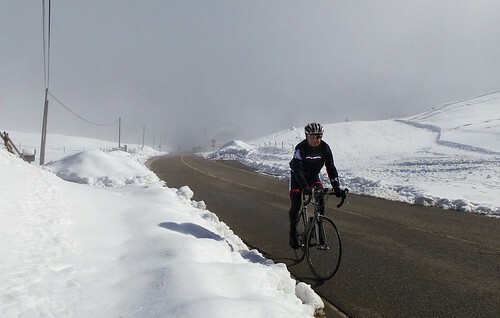 On either side of the lake are great climbs that can be included to make a great loop. See below. I was trying to get above the clouds. There were faint glimpses of sun and I was confident. But it would be harder than I expected. 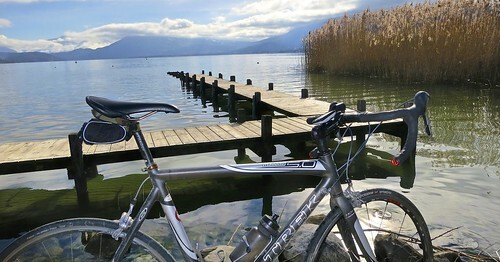 I started in Annecy and headed south down the bike path. Lots of fit people around as usual. 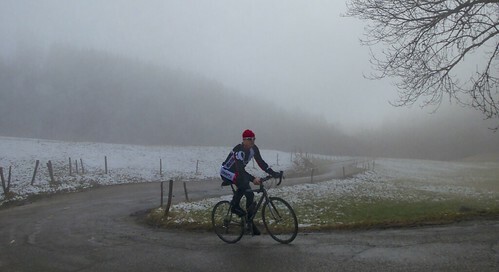 After reaching the end of the lake I turned east to quickly join the start of the climb to Col de la Forclaz (de Montmin) – there are quite a few Col de la Forclaz’ worth cycling in the alps. 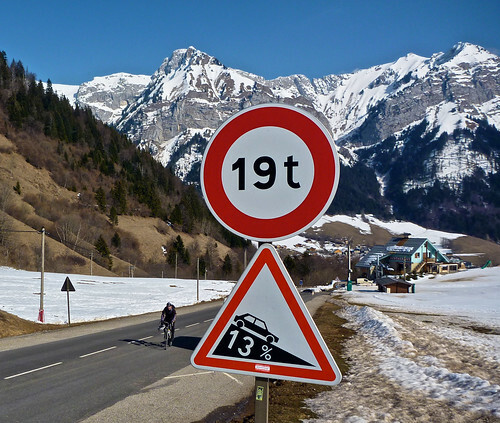 Near the top was the first place I ever saw a Tour de France stage. Simoni, Virenque, and Moreau were first to pass me – exciting. This is a short but steep climb. Tip: this south side is a lot more fun (through a quiet gorge), than the north side. Half was up I entered the clouds. The views are “usually” fantastic here. 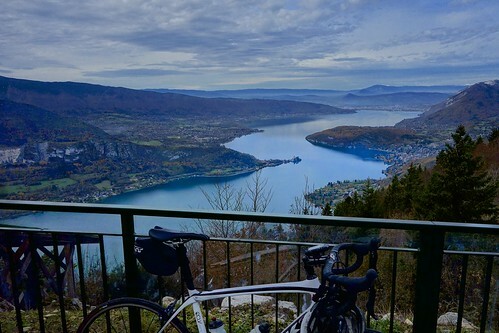 At the Col is usually one of the best views of Lake Annecy. The very top photo is from the parapent take-off spot, and even though it was sunny above me, the lake was completely blocked by clouds. 3 rides already – that’s an excellent sign that you’re in good shape! 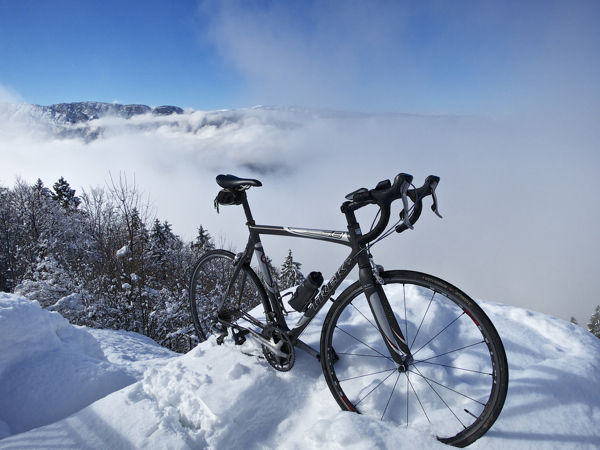 I will probably climb my closest mountain pass, Col de la Faucille, on Thursday afternoon. The forecast is excellent and if I feel well after my night shift tomorrow, I’ll give it a try. Whenever I drive around the corner up there coming from La Vattey on a clear day, the panorama of Mt. Blanc is simply breathtaking. If you want to join please let me know. We could meet in Gex. I appreciate the offer, but honestly I am feeling so fragile that I don’t feel up to committing to anything for the time being. Hopefully we can get together in the future though. Great site Will. I’m heading to La Ferme de la Serraz, Dussard at the end of July for a week’s vacation and I’m planning my cycle routes based on your excellent site. Many thanks!